Washing and taking care of a ceremony suit correctly is essential so that you do not lose your size or shape and you can use it as many times as you want. In this post we will explain how to wash and care for a ceremony suit without spending a lot of money in a dry cleaner. Good suits are not usually cheap and whether you´re the groom or a guest, presumably you´ll use it again. It is essential that you wash it well after using it and keep it carefully until its next use. Most men think the best place to clean a good suit is a dry cleaner; after all, they are professionals. However, even if it makes all the sense, it is a wrong statement. When making a suit, a series of volumes with the iron are applied that are specific for each person, for their body type, and if they are not ironed correctly, they will be lost. Therefore, if the suit is wrinkled because of the use that has been given but is not stained, avoid taking it to the dry cleaner and keep it clean and careful following the steps indicated below. Now, if the suit is stained, you should take it to the cleaners, making sure they know the type of fabric they are going to clean. With the suit hanging on a hanger (if possible of wood), pass a special brush for suits to remove hair and lint. Brush it from top to bottom. The brush usually has a cylindrical shape and you can find it in any supermarket. As we have said, a suit may be a little dirty and wrinkled from its own use or it may be stained. If it is not stained, we can avoid going to the dry cleaner by applying steam on the suit, so we will clean it and also eliminate wrinkles, so that we can also avoid ironing. If you finally decide to iron your ceremony suit, either because it is very wrinkled or something else, protect the fabric with a cloth to avoid glare. Also, do it without using steam to avoid damaging the interwoven. Dry your suit in the air to eliminate odors that have adhered to it. Simply hang it on the terrace or in the garden, being careful not to fly. Use two hangers, one for the jacket and one for the pants. 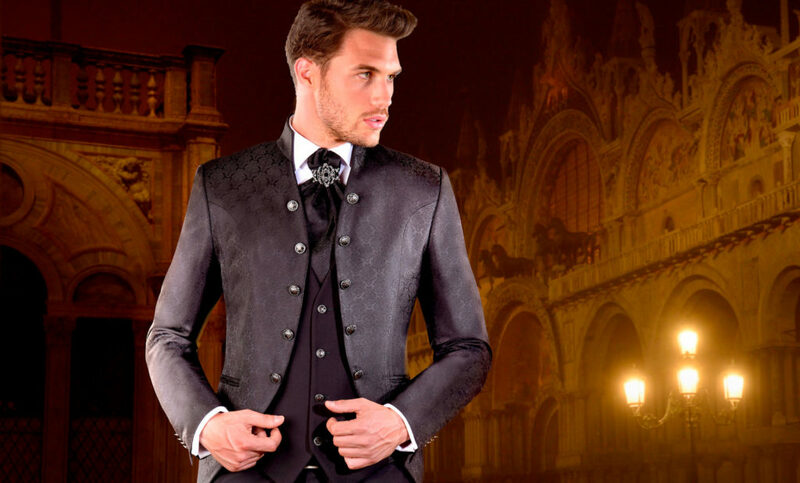 When you do not wear the suit, keep it in the closet separated from other garments so that it maintains its shape, especially at the shoulders. Use a cloth cover to avoid dust and moths, but without the plastic in which the suit was when you bought it. That plastic releases gases which, over time, can weaken the fibers of the fabric.